I am very disappointed you decided to make a crossover with such a terrible comic as Afriki. So will Mythu have his head burnt off by the silly sorceror like the much larger dragon in that dumb comic? 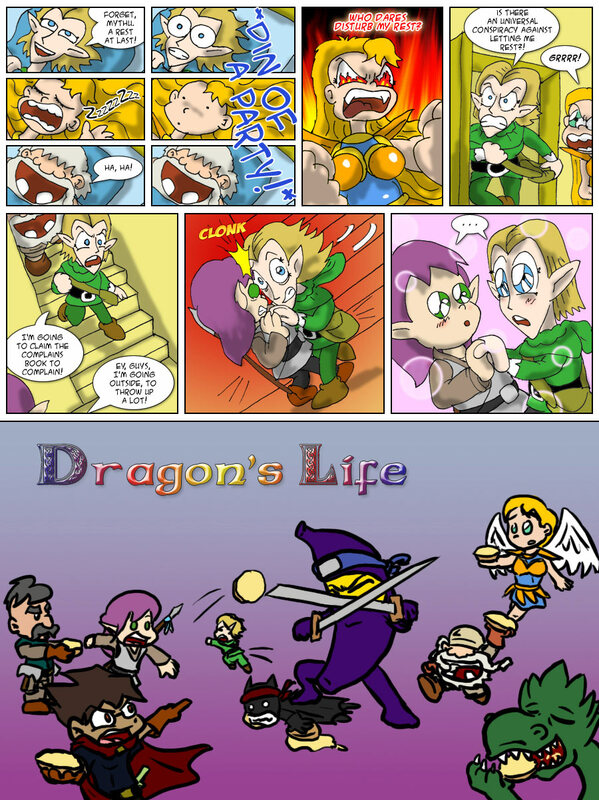 What will happen when one of the best fantasy comics (Dragonmail)combines with such a ridiculous and unrealistic one? The worst fantasy comic I have ever read, in fact. Yes, up until the ridiculous dragon-slaying nonsense, then it became clear this is just the absurd fantasies of a pathetic geek. The telltale sign of a pathetic 'geek' is his 'need' to have the somewhat wimpy hero that is style after his own character slay mighty dragons and monsters because they our so pathetic in real life. They are trying compensate for their own pathetic lives, but do so by creating stupid comics that are not funny. This is why Dragonmail is so much better. Here the writer cleverly makes a stereotypically 'evil' dragon into an amusing character and is the real strength of this comic. This would be unthinkable to a 'pathetic geek' who sees dragons and similar monsters as simply something his cartoon surrogate of himself must slay even when it is totally ridiculous as we see in the nauseating "A friki's life". Dragonmail isn't particularly "realistic", but it is refreshingly unique enteraining in a sea of geek-made web comics where the writer must show how many monsters he can kill to compensate for his uselessness in 'real life'. 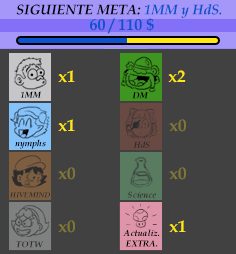 There are few other web comics I bother to read becasue they are the same predictable geekishness like Friki. Maybe if you knew that the ONLY reason I keep drawing the "Fantasy Edition" of my webcomic after the first strip (I never wanted to draw a fantasy comic, just that strip) was because the people asked me to do it, you could undestand how WRONG you are. Also, it is clear that you don't like my comic, and it is clear why, but you don't need to insult me. Just wait until the crossover finishes and the normal Dragon Mail comes back. Actually my theories are 'spot on'. But I am not surprised you have some geekish fans who enjoy your horrible comic, for they too, are geeks who fantasize they could be mighty wizards who can conjure death rays to blast the heads off of mighty dragons and become heroes. But they, like you, can never be succesful fantasy writers, because in your Geekish fantasies you have now turned your character into a literal "god", who can do anything. How could any interesting sequel be written now? It cannot. Hopefully, your adolesecent nonense will only contaminate "Dragonmail" for a very short time, but we will be curious to see how you now must cope with why your ridiculous "God Wizard Geek Boy" doesn't blast the head off of the much smaller dragon, Mythu with his wondrous magical powers. This is why Geeks like your can only write terrible self-published web comics, not real books people pay to read. Watch the original Dragonmail and learn how a "real" fantasy comic writer humorously deals with dragons.